Berkeley Arts Connect brings Cal students and the Berkeley arts community together by placing students in internships with local arts organizations.  A partnership between Berkeley Cultural Trust (BCT) and UC Berkeley’s Public Service Center, Berkeley Arts Connect selects and trains student interns to support organizations' marketing and fund development efforts over a nine month period. The interns remain connected to each through monthly meetings and periodic shared professional development opportunities. Organizations benefit from the support of an intern and the valuable connection with the university campus. Interns gain experience in non-profit management and build connections with Berkeley's art community. In addition to the day-to-day operations and professional development where students and organizations will profit, the partnership of the university and the arts community allows for important discourse on the relationship of academic scholarship and artistic creativity. As a community, interns and organizations in Berkeley Arts Connect will consider the issues of place, audience, and community – critically examining the place of arts in Berkeley's civic life. Organization applications for the 2015-2016 program are now closed. We will be looking to represent as broad a spectrum of organizations as possible so please do apply in the next year. All active BCT members are eligible; as discussed in previous months an organization qualifies as active when a representative attends at least 50% of the meetings in the most recent year.